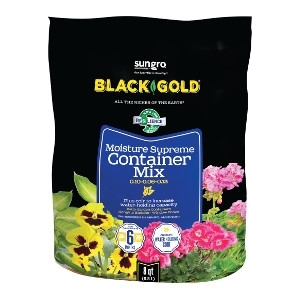 Black Gold® Moisture Supreme Container Mix 2 Cu. Ft. Contains: Canadian Sphagnum Peat Moss, Composted or Aged Bark, Compost, Sun-Coir, Earthworm Castings, RESiLIENCE®, Horticultural Grade Perlite, Pumice, or Cinders, Wetting Agent, Controlled Release Fertilizer. Fruit & Berry Food. Bigger Fruit & Growth. Long lasting. Slow release. 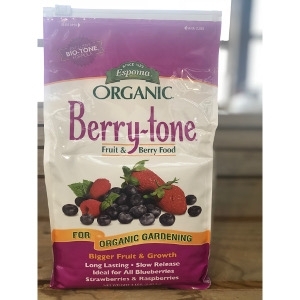 Ideal for all Blueberries, Strawberries, and Raspberries. We carry a variety of The Naked Bee lotions. We have 2.25oz bottles and 6.7oz bottles available in scents including Grapefruit, Chai, Citron & Honey, and more! Check with our Owego location for a detailed list of scents. 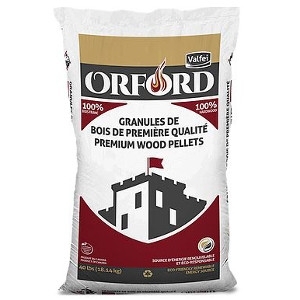 ORFORD wood pellets are a superior choice. Made from 100% hardwood, these pellets will burn longer and cleaner in your wood pellet stove. ORFORD wood pellets are popular for its low ash content. It’s great for your pellet stove and requires less cleaning. Welcome visitors with holiday spirit! 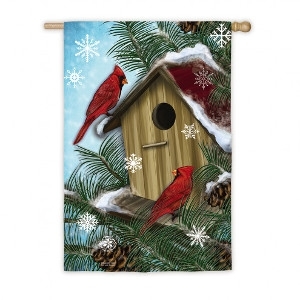 We have a great selection of small and large Christmas Flags. *Large house flags approximately 28"x44". 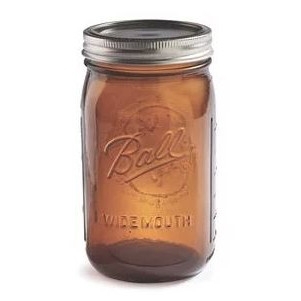 The Ball amber jar is ideal for food storage. The jar offers 99% protection from damaging UV light and blocks up to 50% of visible light. Protecting ingredients from damaging UV helps maintain flavor, freshness and color vibrancy. 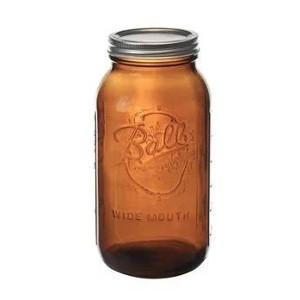 No other jar offers this benefit in the market today. 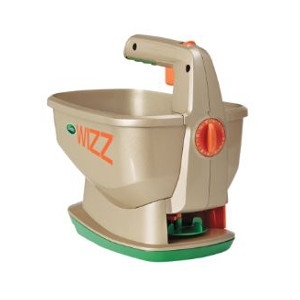 The Wizz™ is the most versatile hand-held spreader you can purchase. It is hand-held, battery-powered, and can be used for weed control products, fertilizers, seed as well as ice melter! 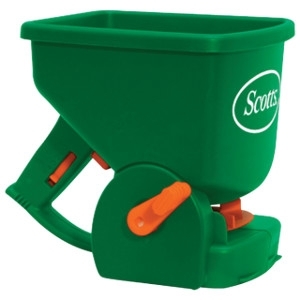 This spreader will hold a capacity of up to 2,500 Square Feet of Scotts® lawn care products. 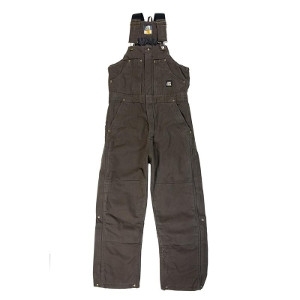 Great for applying grass seed and fertilizer - or ice-melting products in winter. Heavy-duty construction, rustproof hopper and agitator. Fully assembled and ready to use. 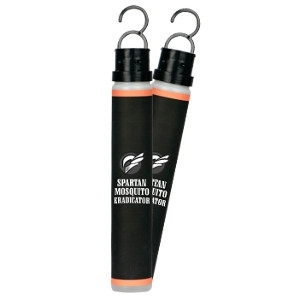 One box contains two Spartan Mosquito Eradicators, which will cover up to one acre for up to 90 days. Place the Eradicators out at the very beginning of the season to prevent bites all season long. Just add warm water to fill line, shake, and hang 6 feet high under the cover of trees around the property to create a mosquito free barrier for months. Don't Pull Weeds and Grasses, Prevent Them! 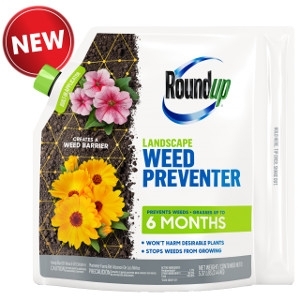 Introducing Roundup® Landscape Weed Preventer which prevents weeds and grasses for up to 6 months, Guaranteed! * It works by forming a weed barrier to stop weeds before they start. For best results, apply directly to soil around plants in Spring before weeds germinate and before mulching. 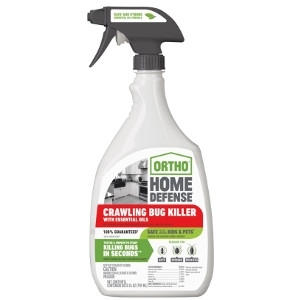 Won't harm your desirable plants and flowers when used as directed! The easy to use built-in applicator provides even coverage. Now you can save time and energy with Roundup® Landscape Weed Preventer. A simple step towards a weed free landscape and garden! 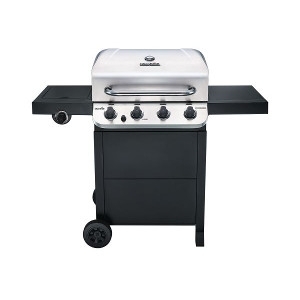 The Performance Series™ 4-burner grill features a sleek black & stainless steel cart design and the stainless steel burners emit flame from the top for even cooking & added durability. This grill is made to last, with rust-resistant porcelain-coated cast iron grates for easy cleaning. All the features are here including a removable porcelain-coated grease pan & an electronic igniter. Station is constructed of a rugged housing that is specially designed to keep water out, but allow air to travel through it and spread the repellent scent across your yard or garden for an effective defense against deer. Apply it just once per growing season. Contains 100% dried blood, a proven scent deterrent that is odorless to humans, yet easily detectable by deer’s heightened senses. Safe for humans and vegetable gardens. 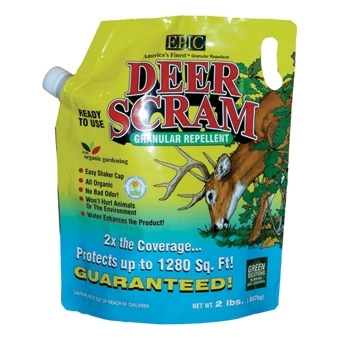 Deer Scram is an all natural, granular product that is applied as a barrier repellent. 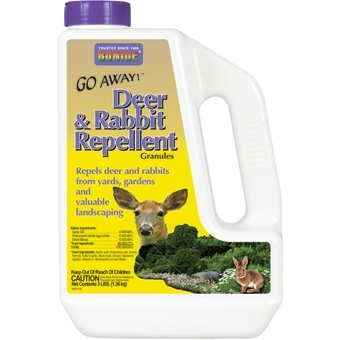 It is the fastest growing deer and rabbit repellent throughout the country for several reasons: It works! 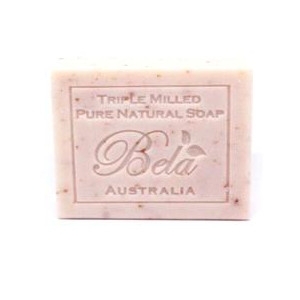 It is non-toxic, organic, and will not harm the animals or the environment. You do not have to mix or spray, just open and use. 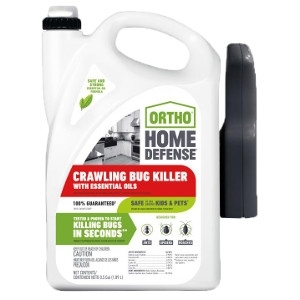 Unlike liquid repellents, it protects new growth in the spring and summer, lasting 30 to 45 days, and works great in the winter when it lasts up to 90 days. 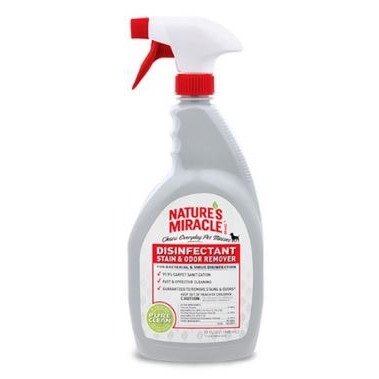 There is no unpleasant odor, doesn't wash off in rain, lasts longer than sprays, and is 100 percent guaranteed to protect plants, flowers, trees, shrubs and vegetables in all weather conditions, year round. 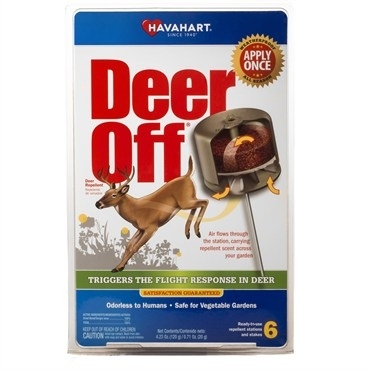 An outstanding repellent, specifically for deer and rabbits. 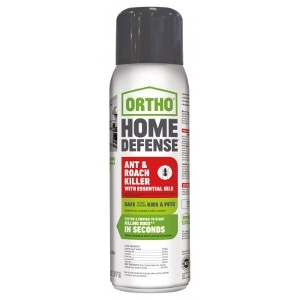 Protects gardens and valuable landscaping. One application can last up to 2 months. Effective in all seasons. Made with natural ingredients including dried blood, putrescent egg solids, garlic, and meat meal. Does not harm plants or animals. 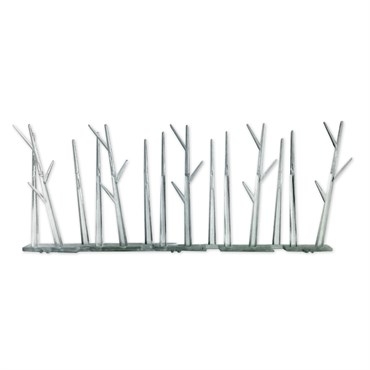 These Plastic Spikes are constructed of polycarbonate plastic and come in a 10 foot length. They STOP Bird Infestations! They are durable and can be used on buildings and structures to eliminate roosting and nesting habits of birds. The spikes are not lethal, just intimidating, irritating, and uninviting. They are light-weight and provide a low-profile to keep birds OFF your property. The flexible base allows for the spikes to be installed on curved surfaces using nails, glue or even ties. They are maintenance free; will not corrode or decay. They also will prevent climbing animals from entering. 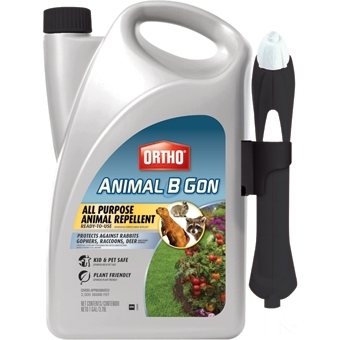 This Ortho® Animal B Gon® Repellent protects against rabbits, gophers, raccoons, deer and more! It is both kid and pet safe when used as instructed and is also plant friendly!